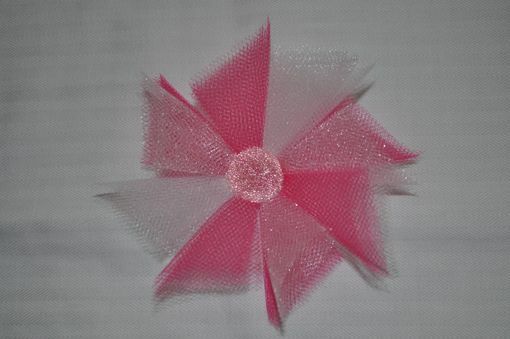 Custom Tulle Pinwheel Flower On Clip, Ages Newborn To Adult. Free Usa Shipping. 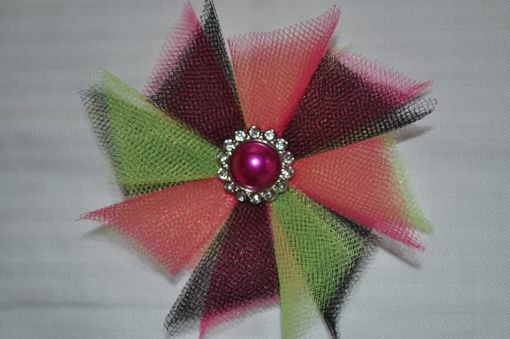 A tulle flower made of 2-3 colors of tulle and a coordinating button on a hair clip. The flower is about 4-5" wide. 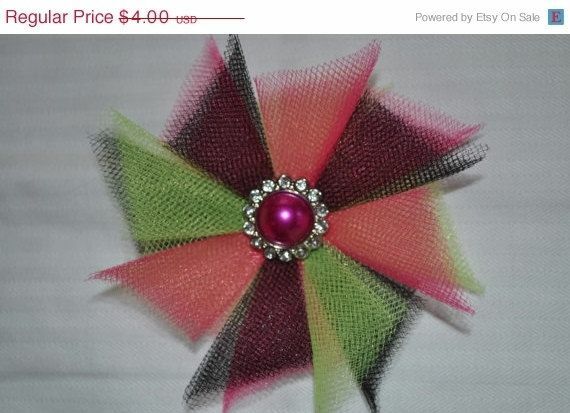 The tulle flower is on a clip so it can be worn alone or on a headband for an additional $1, or you can also add it to a tutu. If you want a color combination not listed, please send me a message to update the listing for you. If you want more than 1, get an additional $1 off per additional item. Contact me to make a personal listing for you that reflects the price reduction on multiple pieces. Will use other options for center if you want different colors, mostly buttons and rhinestones. 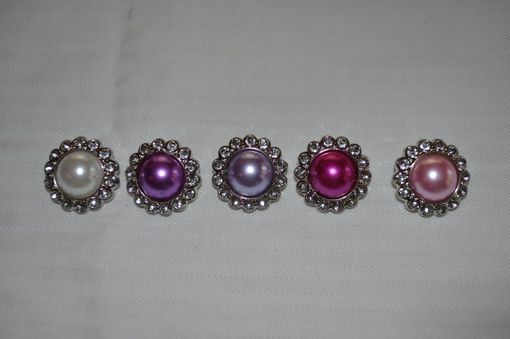 I am working on getting more glamorous centers much like the pearly/rhinestone centers used in these pictures.